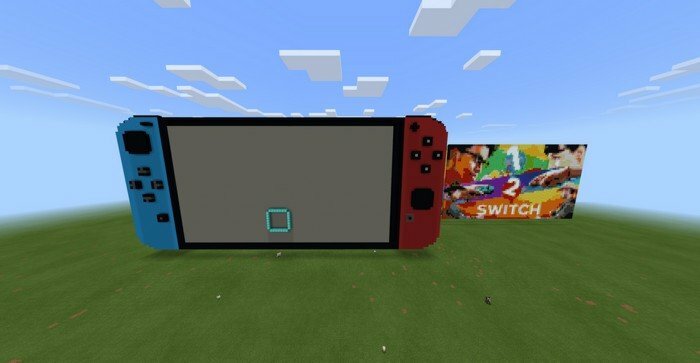 This is a working reproduction of Nintendo Switch console in Minecraft PE, using redstone and command blocks. The functionality of the console is quite limited. 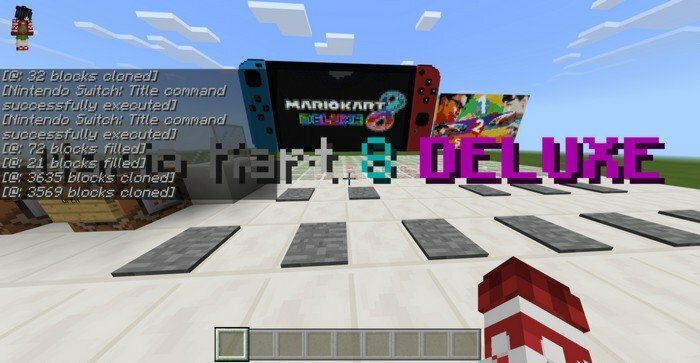 you can turn it on, choose a game and run it, but you can't actually play, it will only change the pictures on the screen. 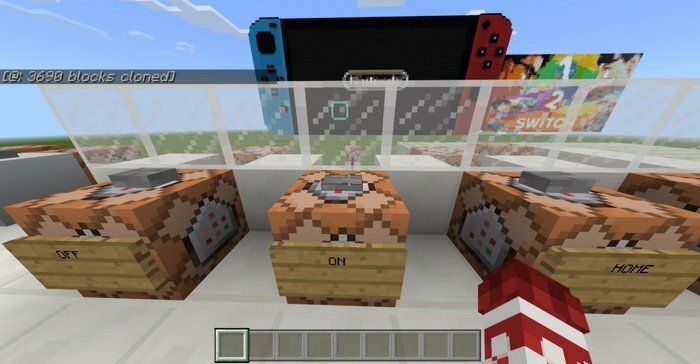 The buttons on the Switch is not working either, you need to use pressure plates and buttons on the spawn to operate, but that makes sense - the console is huge and you need to be on distance, to see the whole screen.